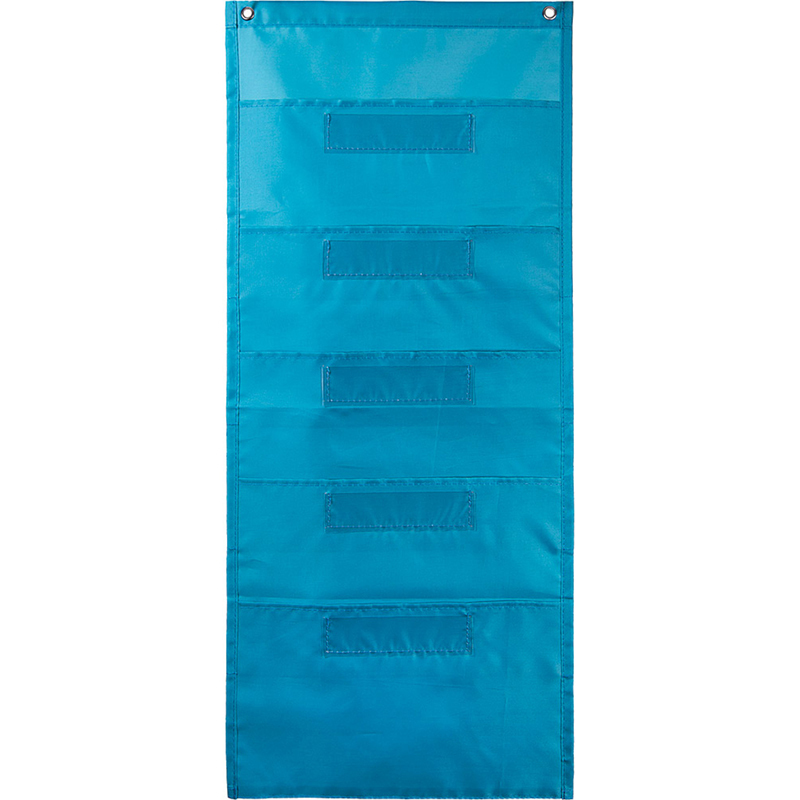 This File Folder Storage:Teal pocket chart features 5 storage pockets and 5 clear label pockets making them perfect for organizing your week. The fresh contemporary color of this new file folder storage pocket chart is sure compliment any classroom theme. File Folder Storage pocket charts are the perfect tool for organizing with style! The pockets are designed to hold standard size file folders. The top of each pocket includes a clear pocket for easy lableling. This pocket chart measures 14" x 32" and feature 5 fabric pockets that measure 14" x 8" and 5 clear pockets that measure 6" x 1.5".